Raised by wolves, lowered into your midst. What is Remedial Girl Lessons? 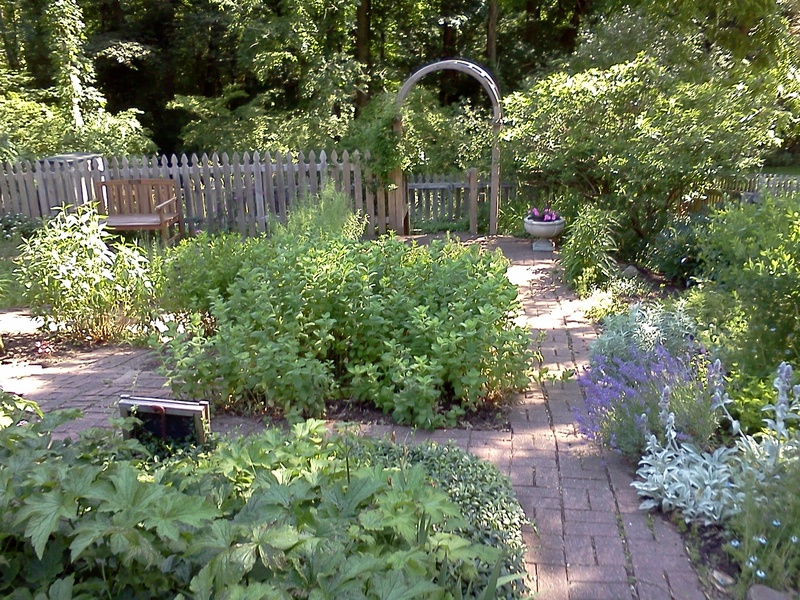 There is a beautiful herb garden beside the house, which would be a great spot for taking wedding pictures. 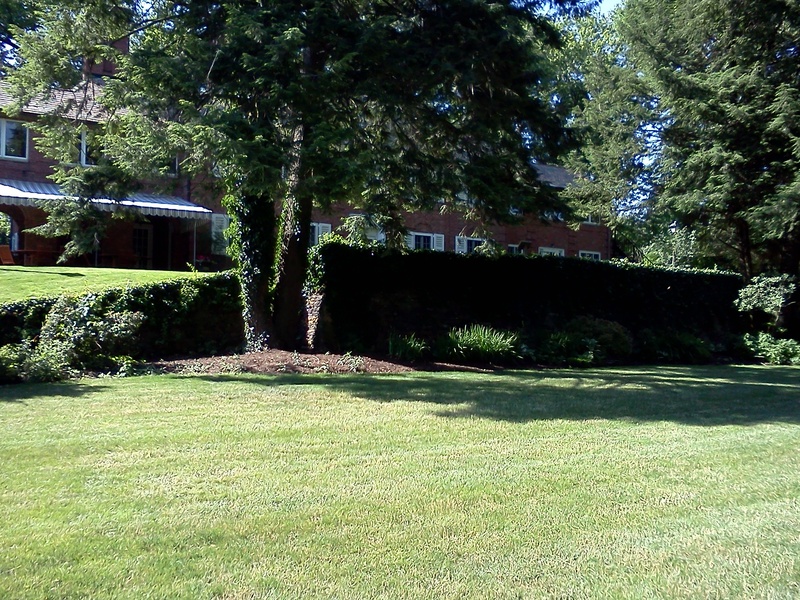 The stone retaining wall separating the lower and upper lawns is also picturesque and could make a good ceremony spot. 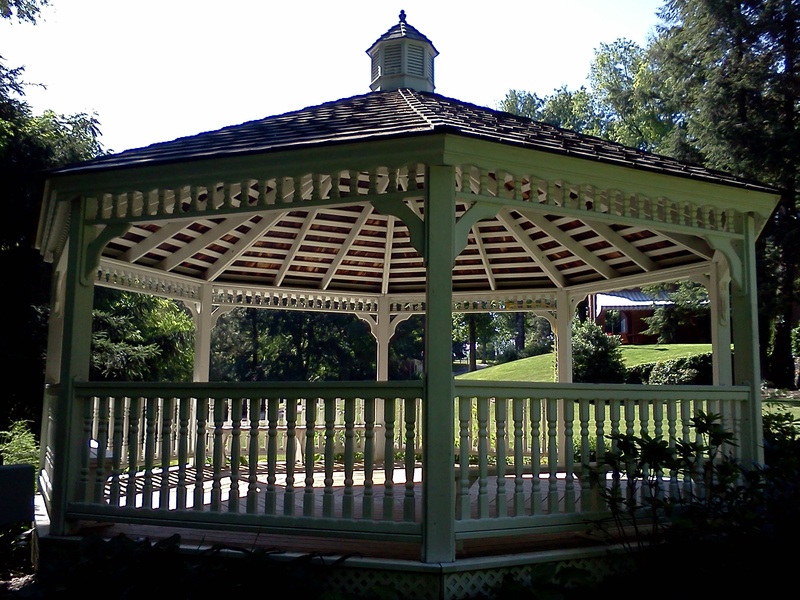 The gazebo is another beautiful option for photographs, or for an intimate ceremony. The lower lawn of this place is HUGE! A hallway leads to three large rooms, all identically finished with white wainscoating and hardwood floors. I would estimate that this floor would comfortably hold 50-70 guests. 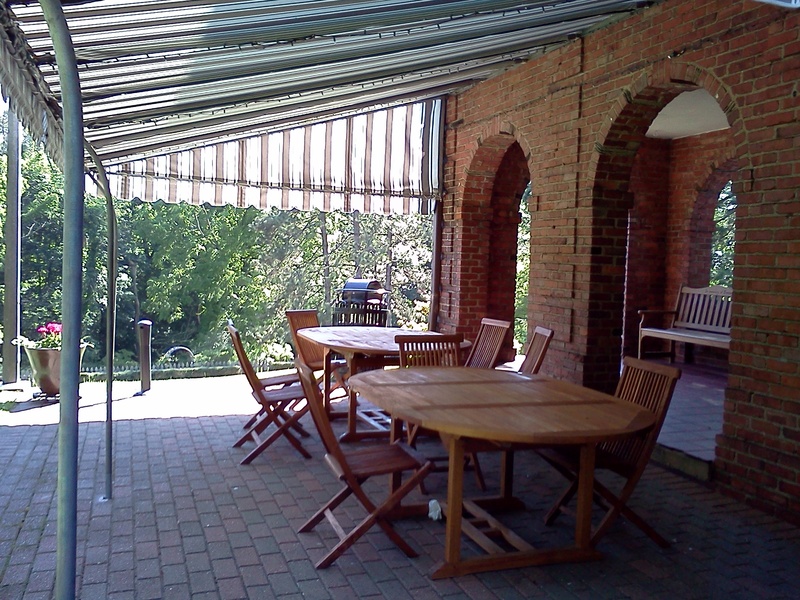 This brick sun porch might be a good place to set out a buffet or to have a bar. All the rooms have decorative fireplaces and built-in bookshelves. Two of the rooms have exterior doors leading to a brick patio. This patio could be great for giving guests a space to relax, or for dancing. 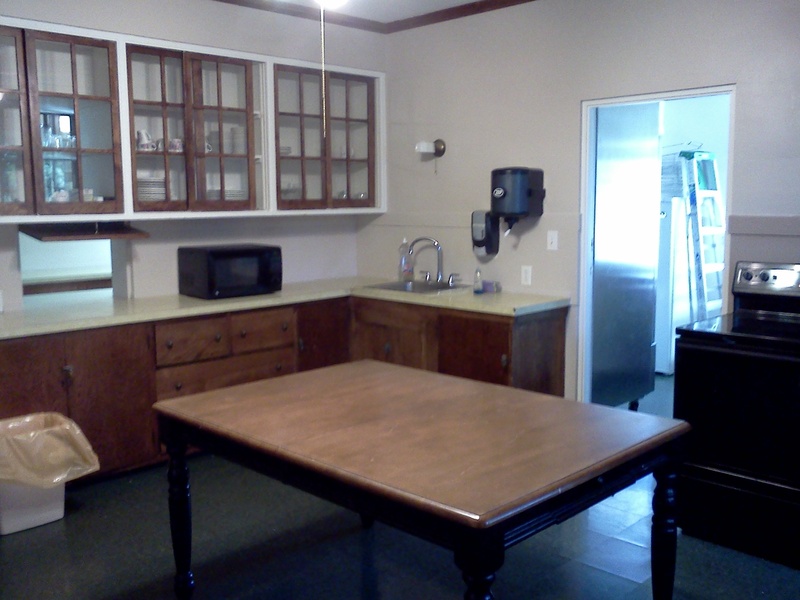 The center has a full kitchen with modern appliances, including a standing refrigerator and separate freezer. 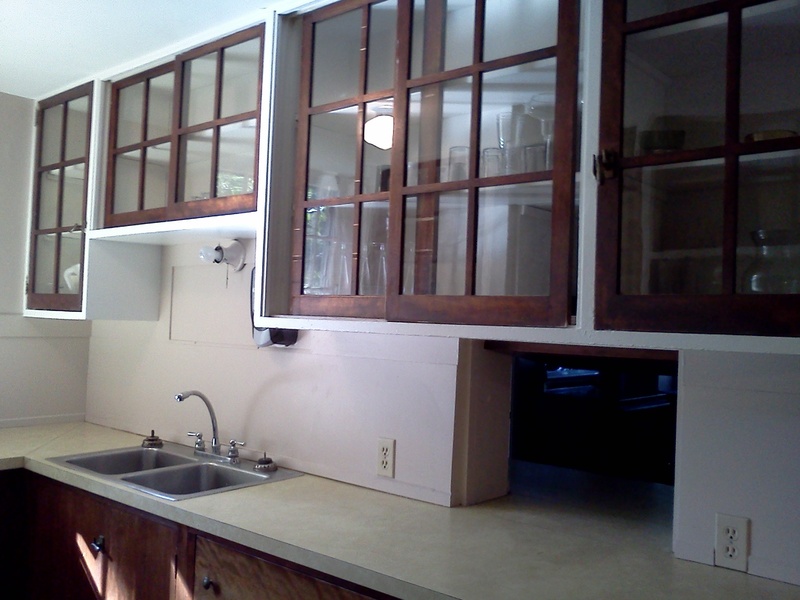 There is a separate little galley-type space in the kitchen with an extra sink and a lot of additional counter space. This would be great if you’re looking to DIY all or some of your food. 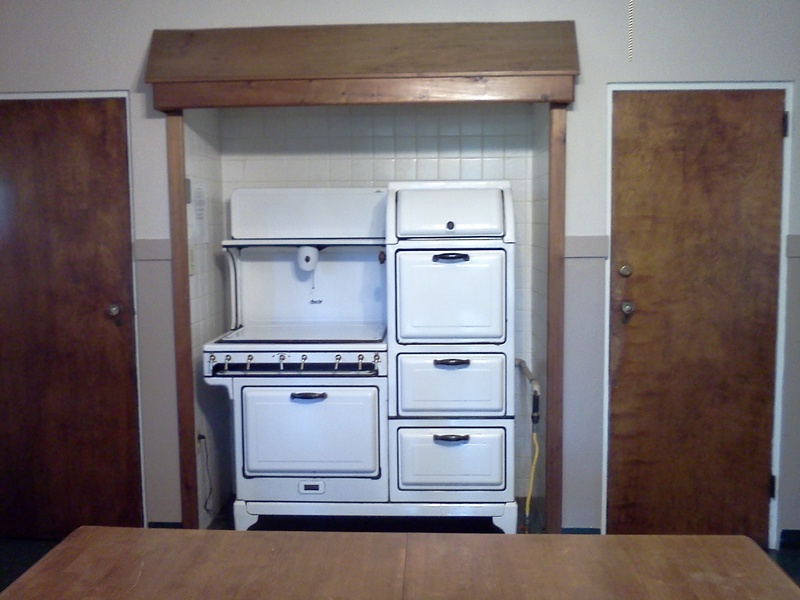 I don’t think this vintage stove/oven is supposed to be used, but it is pretty nifty! I want it in my house! 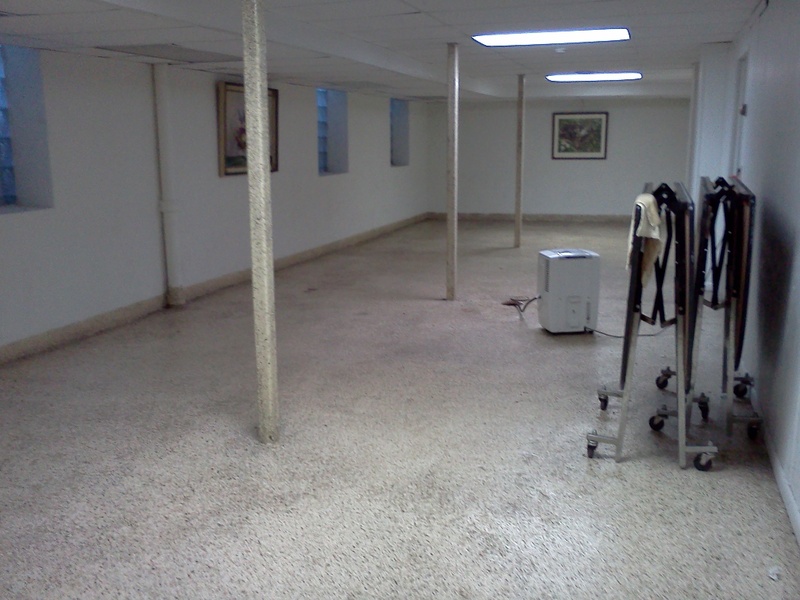 I’m not planning on using the basement, because it just isn’t as pretty as the rest of the house. But if you are having a larger event, particularly in inclement weather, having the extra space could save the day. The capacity of Robin Hill Park increases to 110 if you use the basement. 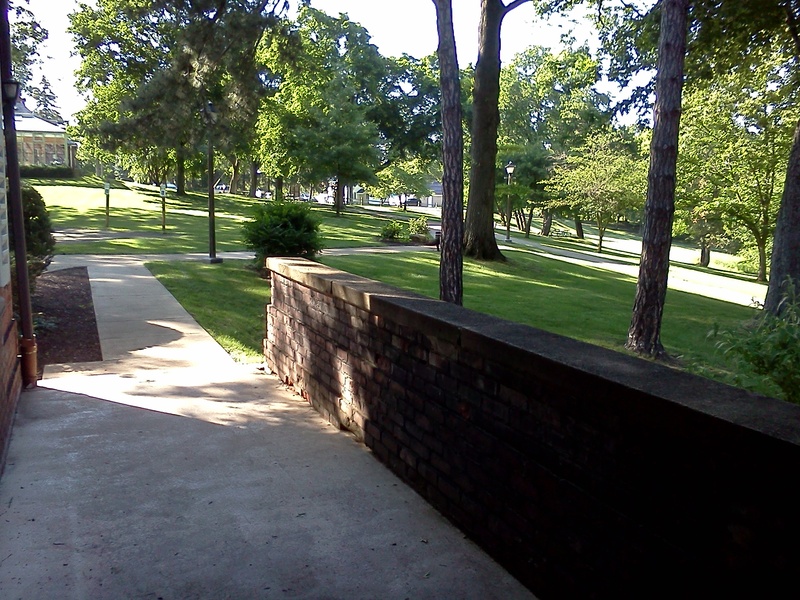 Looking out from Robin Hill Center’s kitchen door to see the front of the park. 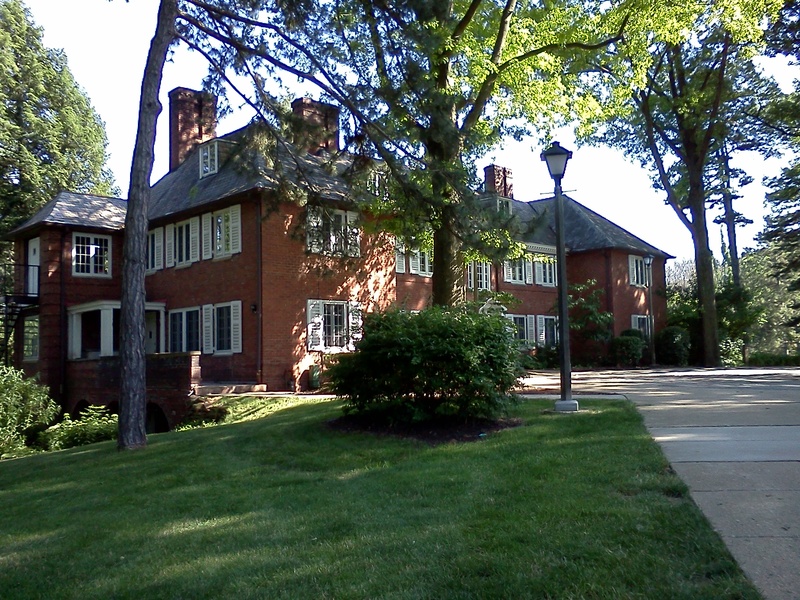 This was the family estate of Mary Nimick, who gave the house and adjoining 52-acre property to the township of Moon for use as a public park after her death. Way to go, Mary! In addition to the lawns and herb gardens, Robin Hill Park has two miles of walking trails and a senior citizens’ center on-site. The cost to rent the facility for 8 hours is $450 for Moon residents and $550 for non-residents. There is an additional fee of $70 for a weekend rental, a $30 fee to purchase an alcohol permit, and a $50 fee to rent the gazebo (you cannot rent the gazebo independently of the Robin Hill Center). You can rent additional time for $25/hour. You can also pay an additional fee to have park staff do the cleanup. 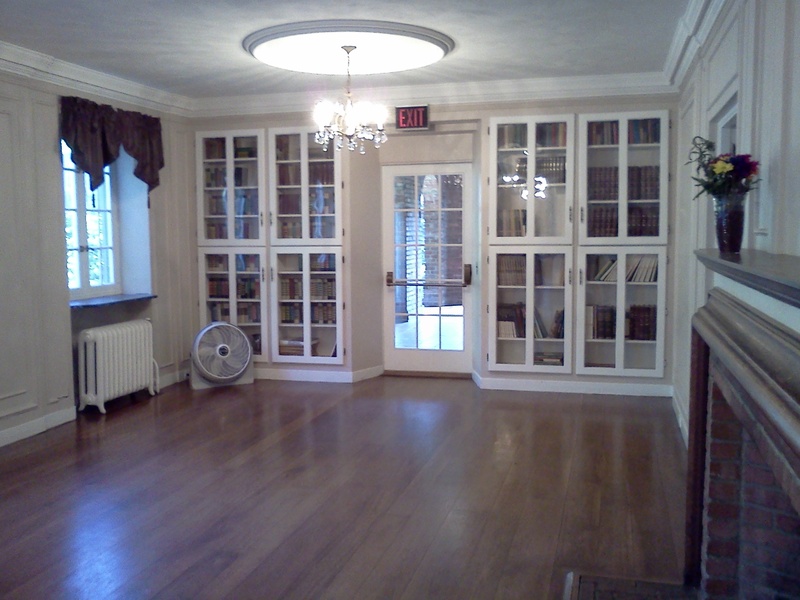 Robin Hill Center has a maximum capacity of 100-110 wedding guests if you use both the first floor and the basement. The maximum capacity of the first floor is probably around 70. Tents are permitted on the lawn; however, they must be secured using sandbags or water barrels (stakes could damage the lawn). There is a small parking lot at the front of the park; if you are having a larger wedding, guests should be encouraged to carpool. According to park staff, the Sheraton Pittsburgh Airport (which is about a mile from the hotel) is interested in partnering with Robin Hill and can provide shuttle service. Rentals of Robin Hill are done up to a year in advance by month (i.e. all rental dates in September 2014 will become available on the first business day of September 2013). 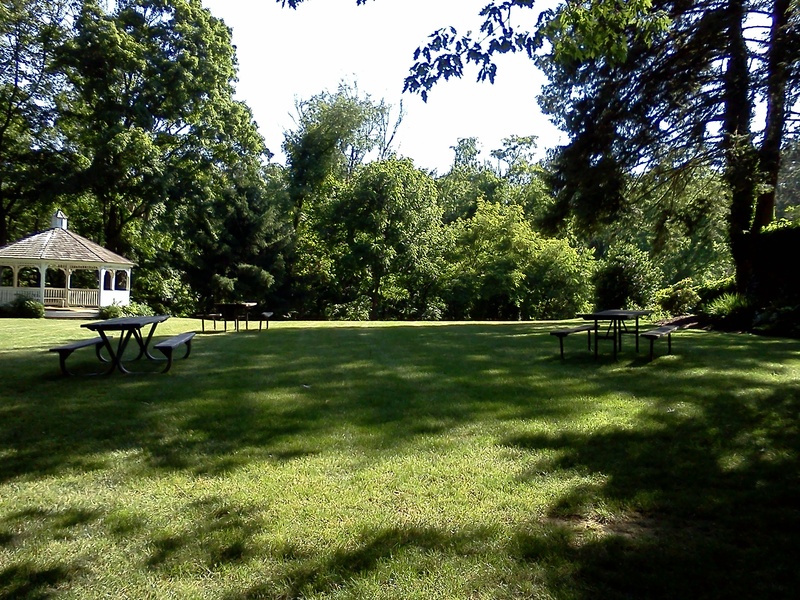 Rental contracts must be signed in person at the Moon Township Parks and Recreation Office, which is NOT in Robin Hill Park! In-person tours are available, typically on Wednesday evenings. Call the park office to set up a tour. There are definitely super-cute baby bunnies in this park. This entry was tagged budget wedding, Moon Township, pittsburgh, Pittsburgh wedding, Pittsburgh wedding venue, Robin Hill Center, Robin Hill Park, Venues, wedding, Wedding ceremony, wedding reception, wedding venue, weddings. Bookmark the permalink. Succulent Plants under Artificial Light: The Good, The Bad, and The Ugly.